You are currently editing quote:"". All equipment, jobsite / location, and rental day changes will be applied to this quote. Note: Changes are only saved after you click 'Update Quote' from the 'Review & Submit' page. An error occurred while attempting to lookup your query. Sunstate Equipment Needs Passionate, Creative and Dedicated People Like You! Sunstate Equipment is changing the way people rent construction equipment, and we're looking for passionate, creative and dedicated people to be part of that change. From our start in 1977, we have always believed that great employees are the key to our success. In fact, we operate based on a set of core values that pledge fun, challenge and success. We will make you this promise - if you commit yourself to the Sunstate way of operating in the construction rental equipment business, then we will make it fun and rewarding for you. If you enjoy working with dedicated people who work hard and play hard, and you crave the authority to make your ideas a reality, then you have a future with us! 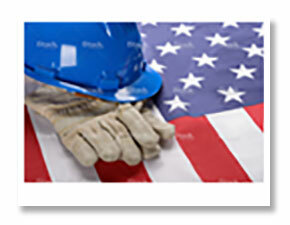 Our commitment to our employees is unmatched in the construction rental equipment industry. Over the years, growth and expansion have fostered many changes at Sunstate. Even with all of that change, there remains one constant – the culture of respect and value that was the motivation for Sunstate’s founding in the first place. Our culture and the investments that we make in growing and developing our people are significant. We don’t do this just for the business aspect; we care about our people, who in turn take care of our customers. This is the Sunstate Way and it’s ingrained in everything we do. To view a list of current positions available at Sunstate, please view current openings. If you do not wish to sign in or apply for an account at this time, you may proceed to request a quote. Thank you for using Sunstate for your equipment rental needs. We are pleased to offer both driver and contract related notifications to help you manage your rental activities. When your account is first setup, your notifications are defaulted to "Off". If you wish to turn these notifications on, you are able to configure your settings in the way that works best for you. To access, use the pull down menu next to your company name under "Settings". Online - These notifications show up in the "Flag" icon at the top of the page under your company name. Email - These notification will be emailed to the email account used for your login.